Whitelisting of safe files based on file reputation database in the cloud for better detection and faster scanning. Only information about executable and archive files is sent to the cloud – such data are not personally attributable. Virtualization Support ESET Shared Local Cache stores metadata about already scanned files within the virtual environment so identical files are not scanned again, resulting in boosted scan speed. 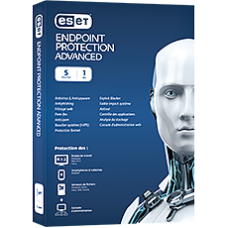 ESET module updates and virus signatures database are stored outside of the default location, so these don’t have to be downloaded every time a virtual machine is reverted to default snapshot. Enables you to define rules for system registry, processes, applications and files. Provides anti-tamper protection and detects threats based on system behavior. Exploit Blocker Strengthens security of applications such as web browsers, PDF readers, email clients or MS office components, which are commonly exploited. Monitors process behaviors and looks for suspicious activities typical of exploits. Strengthens protection against targeted attacks and previously unknown exploits, i.e. zero-day attacks. Advanced Memory Scanner Monitors the behavior of malicious processes and scans them once they decloak in the memory. This allows for effective infection prevention, even from heavily obfuscated malware. Client Antispam Effectively filters out spam and scans all incoming emails for malware. Native support for Microsoft Outlook (POP3, IMAP, MAPI).